Regain radiant and silky skin with Ayurveda Tri-dosha facial mask, in form of powder - easy preparation. This Regenerating, deep cleansing and nourishing facial mask makes the skin feel velvety smooth. It revives surface blood circulation, relaxes and smoothes out wrinkles giving the skin brightness and moisture. Oats : soothing and nourishing. Calendula : healing and soothing. 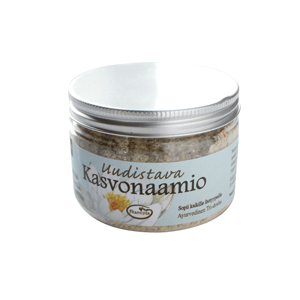 Karelia Mint : cooling and rejuvenating. Sea Buckthorn : skin-nourishing and protecting. Red clover : skin softening and nourishing. Clay : deep cleansing and soothing. 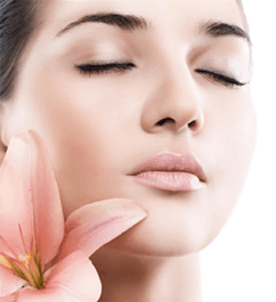 Rose : treating and preventing wrinkles. Peppermint : skin disinfecting and refreshing, pore astringent. Wild Pansy : soothing and protecting sensitive skin. "Melt away wrinkles caused by stress and fatigue and enjoy the refreshing sensations during your facial !" Mix 1 tablespoon of powder in natural yoghurt or water. Floral water or Essential oils can be added to the preparation e.g. 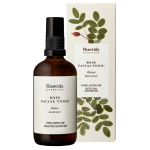 Frantsila Rose Floral Water, Frantsila Genuine Essential Oil of Ylang ylang (only a drop). Apply the mixture on face/neck/décolleté area and leave on for 10-15 minutes. Moisten skin before removal and rinse off thoroughly with lukewarm water by gently exfoliating at the same time. Finalize the treatment by applying facial cream e.g. 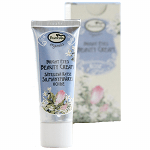 Midsummer Rose Nourishing Facial Cream. Close lid well so that the powder stays dry. Raw materials and manufacturing meet European natural cosmetics and organic standards. 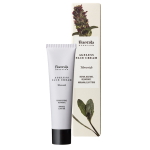 No animal testing, animal or genetically modified substances, mineral oil, silicates, artificial colors/scents, parabens and no preservatives. New Arrival! 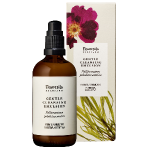 Moisturizing, vitalizing and balancing organic Midsummer Rose facial oil. 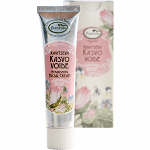 « Midsummer Rose » beauty cream evens out surface wrinkles and small lines. Firming and lifting organic serum helps preventing the appearance of fine lines and signs of ageing. 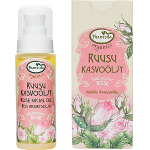 Rosy « Midsummer Rose » cleansing milk cleans impurities effectively and removes make-up. 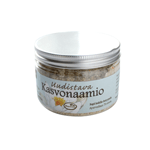 Gentle, rosy and nutrient rich « Midsummer Rose » facial exfoliant. 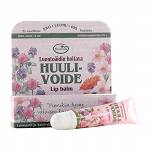 Natural moisture and protection; keeping your lips soft in every season. 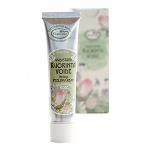 Rosy nourishing and moisturizing « Midsummer Rose » day and night cream. A reviving, deep cleansing, balancing and calming « Midsummer Rose » facial treatment mask for all skin types. Radiance and silky skin. Ayurvedic Tri-dosha facial mask in form of powder, easy preparation. 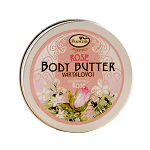 The rosy « Midsummer Rose » Shea body butter nourishes and protects efficiently all skin types, especially dry and sensitive skin, making skin soft and smooth. 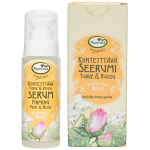 A refreshing and nurturing, natural and alcohol-free « Midsummer Rose » tonic for all skin types. 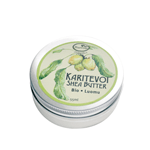 Pure organic Shea Body Butter nourishes, moisturizes, repairs and protects most sensitive skin. 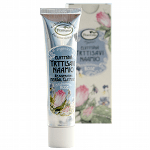 Organic « Midsummer Rose » facial cream for aging skin. Helps regain youthful firmness and radiance.